Students will use the internet to research the meaning and examples of the rule of thirds in digital photography. They will identify examples of good use of the rule, and examples of good photos that do not follow the rule. They will then create a workbook of photos they have taken of classmates in PE class demonstrating their understanding of the rule of thirds. Research the meaning of the Rule of Thirds on the internet. Write the meaning of the rule in your own words into your blog. Also include links to 3 different websites that you used to determine what the rule means. 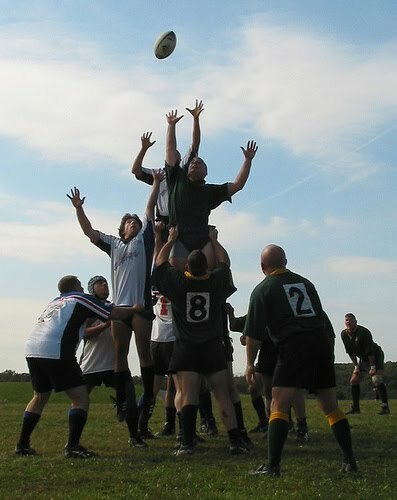 Search the internet for examples of a Sports photo that uses the rule of thirds to make an amazing photo. Also find an example of a Sports photo that did not use the rule of thirds and could have been improved by using the rule. A) Copy the photos into your blog, as well as a link to the website that you found the photo on. B) Write down why you think the photo is a good example of the rule, or could be improved. It is important to know that digital photography is a form of art, and traditionally, there are no set rules to art. The rule of thirds can be broken, but we must understand the rule in order to know when it's acceptable to break the rule. Find an amazing Sports photo that fits into one of the topics that we have been looking at, that doesn't follow the rule of thirds. A) Copy the photo into your blog, as well as a link to the website that you found the photo on. B) Explain in your blog why you think that the photo is exceptional, even though it doesn't follow the rule of thirds. Finally, you need to put this into practice. Using one of the school cameras take some photos of classmates doing a sport or physical activity that would be examples of good use of the rule of thirds, and a photo that could be improved using the rule of thirds. Upload the photos into your blog, explaining your thoughts. Reflect upon the experiences you gained from this project. How well do you think you have attained each of the five skills? How well do you think you performed in terms of meeting the objectives for steps 1 through 4? Provide examples and explanations of what you have learned. Indicate any questions you might have, and explain how you might overcome those challenges in the future.